Winter in China can be very cold. No matter where you go in China, Chinese people like four particular kinds of food in winter to feel warm and keep healthy. Let’s take a look at these common four dishes. 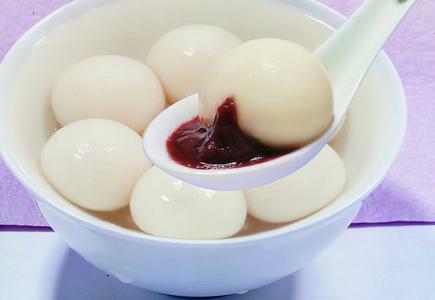 They are balls made of glutinous rice flour with rose petals, sesame, bean paste, jujube paste, walnut meat, dried fruit, or sugar and edible oil as filling. Eating glutinous balls is a good because it will help you feel better in the cold weather. Also Chinese people eat them to denote the ideas of union, harmony and happiness for the family. 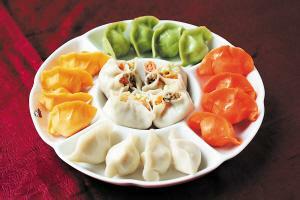 In Chinese culture, it is said that if you eat dumplings in winter solstice, your eyes will not burn from cold. Dumplings are slant warm dish and they are good for body in the winter. 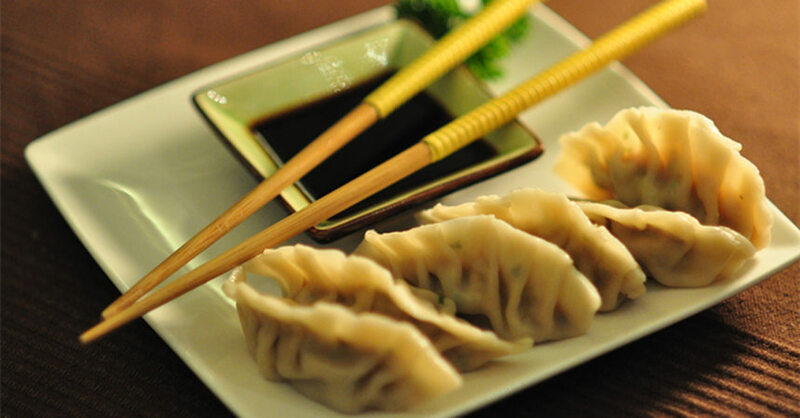 The flour, vegetables and meat are used in proper proportions to create tasty and delicious dumplings. We typically eat dumplings with the multiple stuffing such as: mutton, cabbage, green onions, leeks, radishes, etc. No matter if we are in the north or south of China, hot pot is a popular Chinese meal. We all like eating hot pot as the spicy and hot flavored soup in order to make us feel hot in the cold weather. 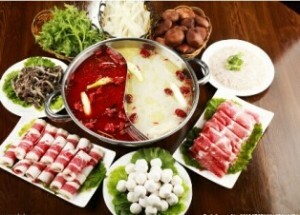 We have essential ingredients like mutton, fish and mushroom in hot pot. This is two-flavor hot pot shown in the picture. Since some people cannot handle the spicy broth, they are able choose the other pot to enjoy the experience. 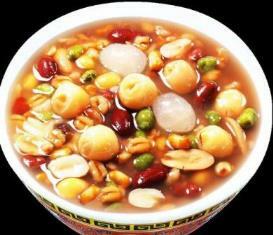 The eight-treasure porridge was first introduced to China in the Song Dynasty about 900 years ago. And the ingredients for eight-treasure porridge are different for different places. Rice, carrot and green vegetables are the indispensable “three treasures”. We as Chinese people believe that eating eight-treasure porridge is helpful to prevent colds. This kind of porridge carries the 8 meanings of warmth, completeness, harmony, luck, health, cooperation, nutrition and appreciation. If you are in China during the winter season, expect to see these as very common options for meals. We hope you learn some new things about winter in China and do not hesitate to try these four food dishes when you are in China in this cold winter!